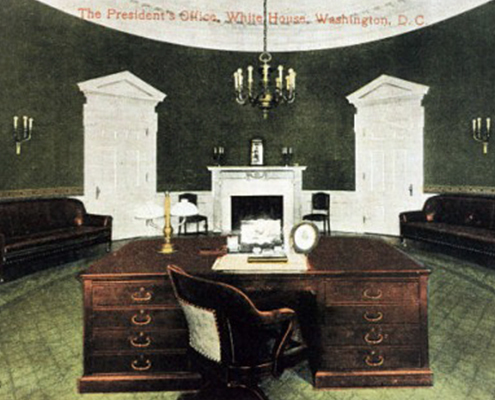 In honor of Presidents Day, we’re taking home office decoration inspiration from one of the world’s most famous workspaces: The Oval Office. Which means your at-home work area is about to rule. 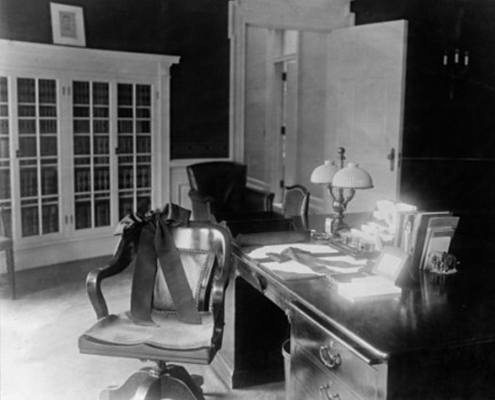 Image Credits to the White House Historical Association, Library of Congress, Roosevelt Library, Truman's Library. 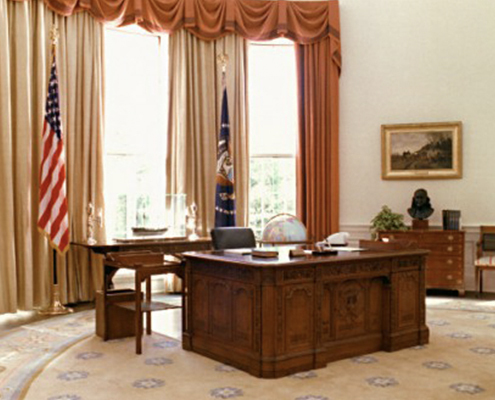 Walk into the Oval Office in 2019, and you’ll see bold gold curtains hanging from ceiling to floor behind President Trump’s desk. 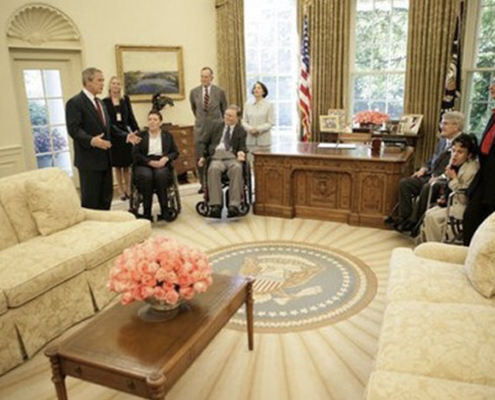 In contrast, George H.W. 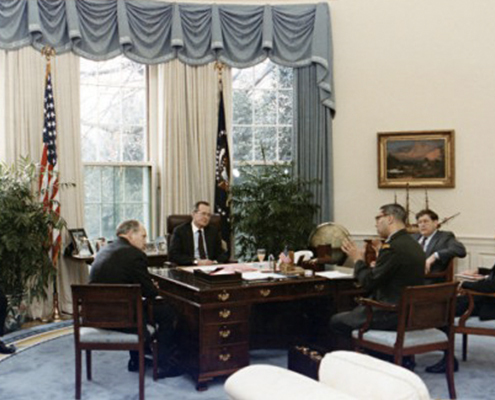 Bush’s office curtains were a subtle, yet stunning icey blue. 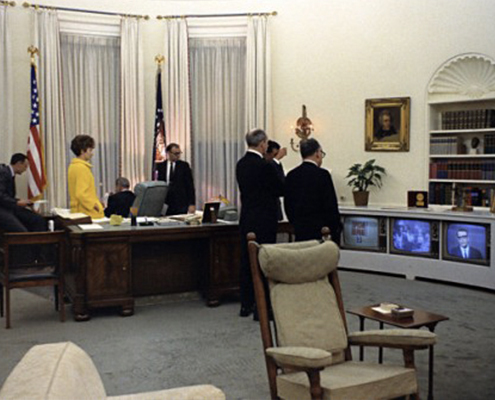 Enter that same room in 1963, and Kennedy’s decor was all about the vibrant red carpet. 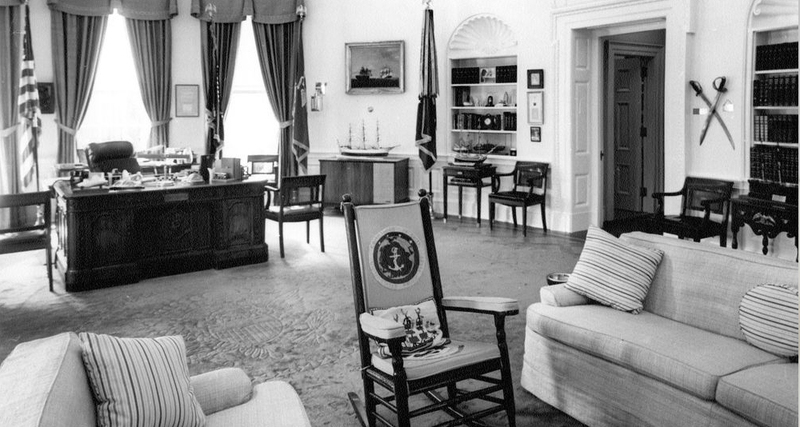 Whereas a poppy, deep-blue rug that bore the presidential seal took center stage in Nixon’s office. What do these looks have in common? Either curtains or rugs made a bold statement. 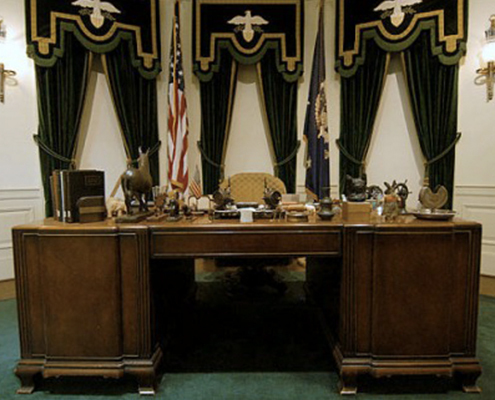 You can do the same in your own office by selecting a large, pretty area rug or an amazing set of drapes as your focal point. In your own workspace, try adding an informal nook to chat with guests, or use the extra seating as a chill zone for work breaks. Choose one or two cozy accent chairs; memory foam bean bags work, too! 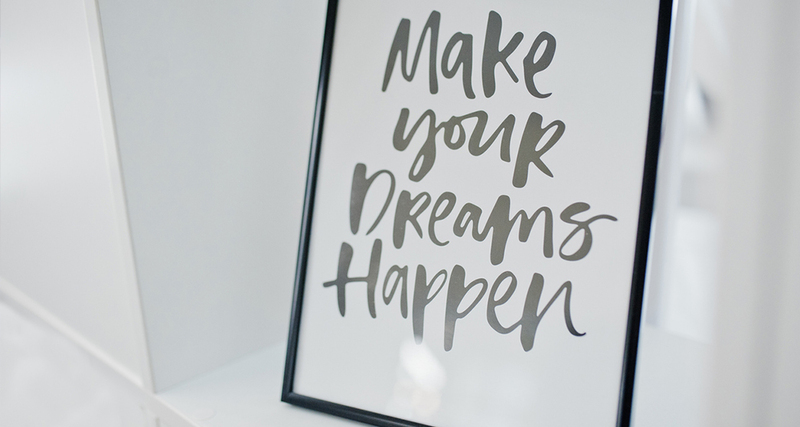 Think about putting up meaningful quotes that describe a personal belief or goal. Or go the humorous route, so you don’t take yourself too seriously in business mode. 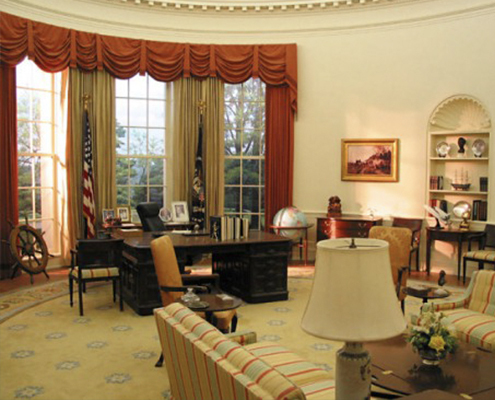 One of the most memorable décor elements of President Obama’s Oval Office was a circular rug inscribed with quotes from leaders like Martin Luther King, Jr. and Theodore Roosevelt, such as, “The welfare of each of us is dependent fundamentally upon the welfare of all of us.” The goal was to continually remind everyone who entered the office of the importance of their work. 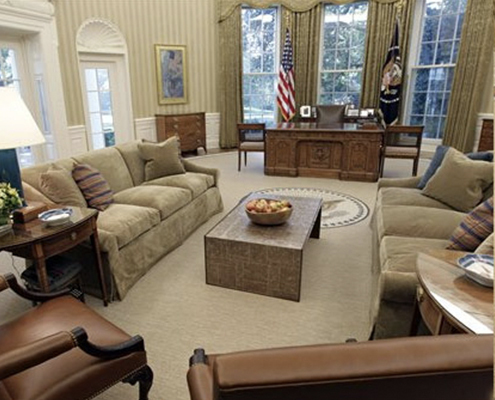 Another constant in Oval Office photographs? Pets. They’re super cute and voters love them (we still miss Bo, the Obama family’s Portuguese Water Dog that stole our hearts!). But working near pets also has wellness benefits. 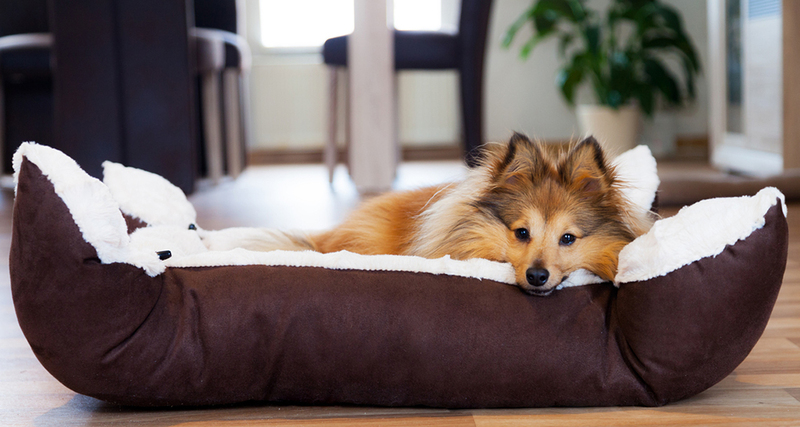 Research shows having pets in the workplace can reduce worker stress, which helps increase productivity. 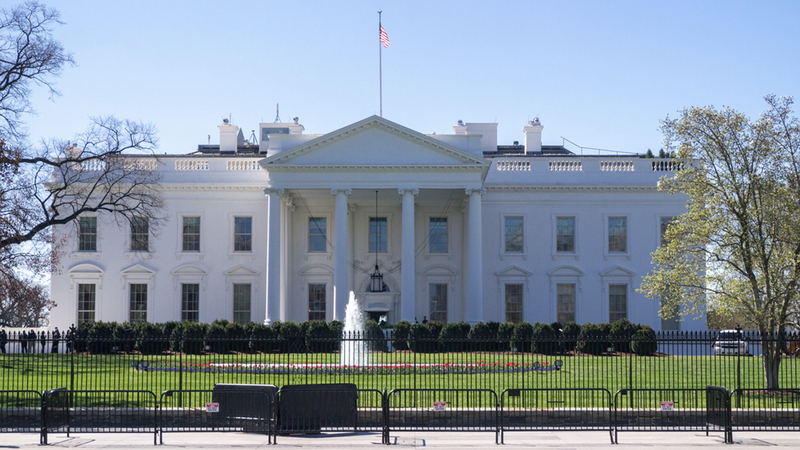 A less stressed leader of the free world? We’ll take it. 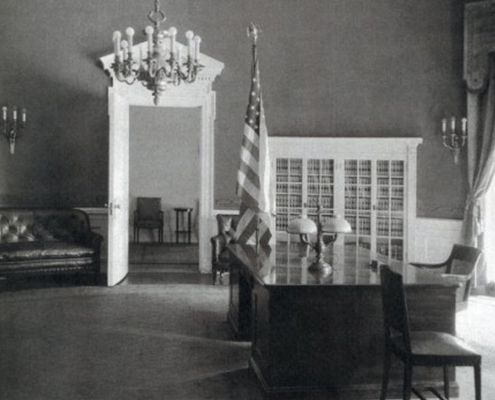 With an office space this inspiring, you’re bound to feel like a boss.